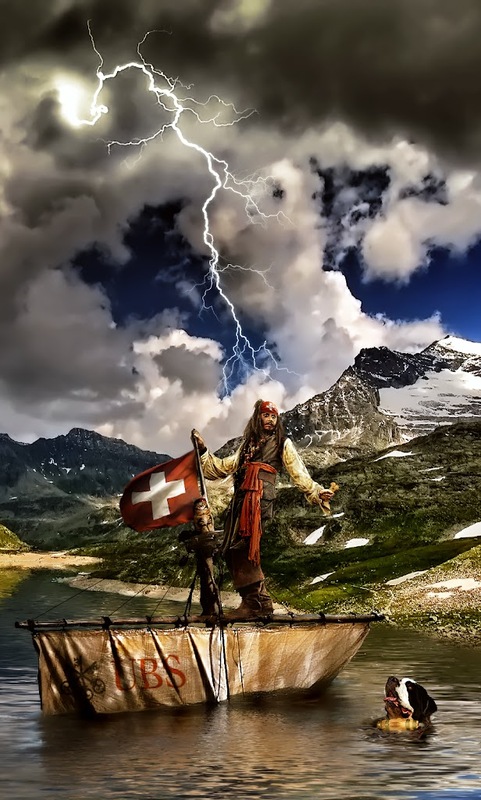 Banking pirates of Switzerland bailed out against the peoples wishes. Will we soon have proof that their system of direct democracy has been made impotent. It's going to take a year to get a referendum through in order to prevent further looting, but any attempts to seek justice against UBS and it's ilk will be crushed by corporatism. Watch and see, where voting out the gold standard opened the gates of fiat hell. In Zurich, UBS head office sits astride Paradeplatz - Parade Square to you and me. But in recent months, the Swiss have renamed it Piratenplatz - or Pirate Square - to signify what they believe is the daylight robbery that has taken place over the last 12 months. Not of their biggest bank, but by it. 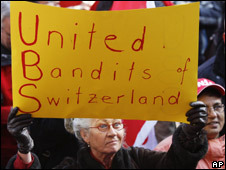 "UBS bosses," writes one reader, "give us our money back, or we'll feed you to the crocodiles."